This article describes the new StarWind Virtual Storage Appliance, which was released on 26th of April. 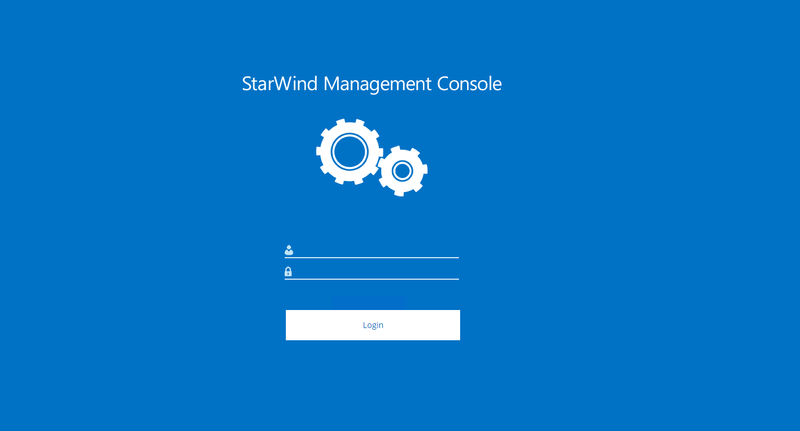 StarWind has always been a Windows native solution. However, due to market trends and the huge interest of our customers, we have decided to work in Linux direction. 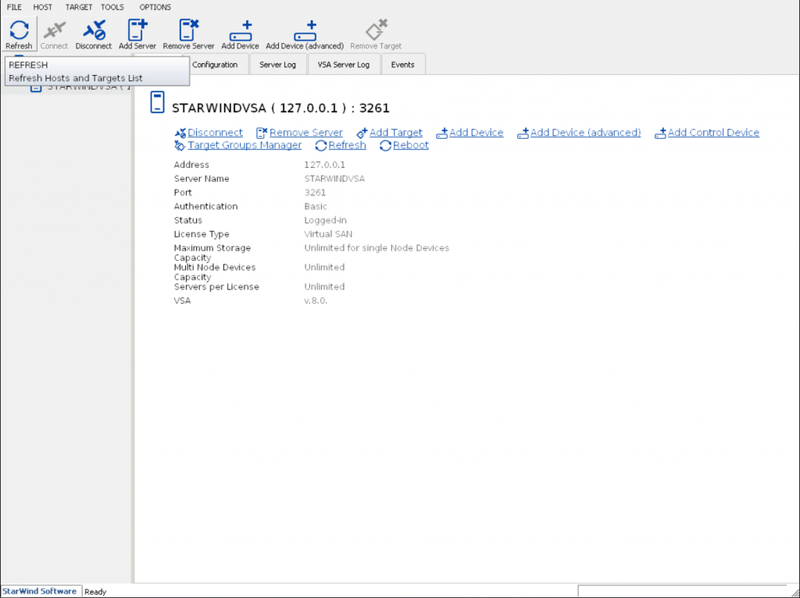 The main goal of the article is to show what StarWind VSA can do for clients and how you can work with it. Let’s start with a quick description. StarWind Virtual Storage Appliance (VSA) is a Linux-based Virtual Machine with StarWind Virtual SAN installed and configured. The main thing is that you can install it on any industry-standard hypervisor (Hyper-V, ESXi, Xen, KVM), which gives you huge choice and flexibility. It can be easily injected into any infrastructure without a need to redeploy it. StarWind VSA gives you almost all features that Virtual SAN has (LSFS, VTL, and Asynchronous replication are not included yet). Great news for VMware users: StarWind vSphere plugins are included with the Virtual Storage Appliance, so you can make your vCenter a single point of management for your StarWind VSA based VMware hyperconverged infrastructure. Note: It is recommended to use Fixed (Thick) virtual disks for StarWind VSA. 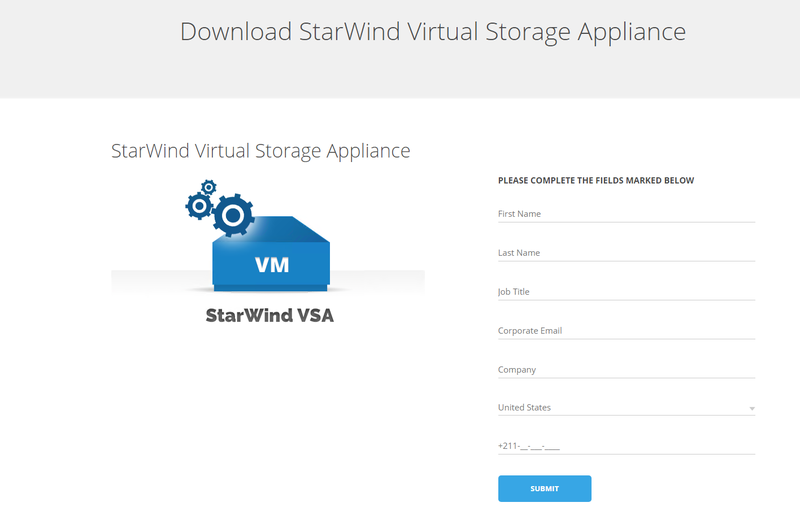 Click the download button on Virtual Storage Appliance web page and you will be redirected to the Download StarWind Virtual Storage Appliance form. Fill in all the fields and click submit. You will receive an email with direct links to download Virtual Storage Appliance. The detailed process is described in the guides above and I will only emphasize on some important steps that should be done. Go to Settings and change your password. Now you will have a good question “what’s next?”. For basic StarWind setup, you should have at least 2 VSA VMs for a 2-node mirror across VMs. This process is the same for StarWind Windows-based version. 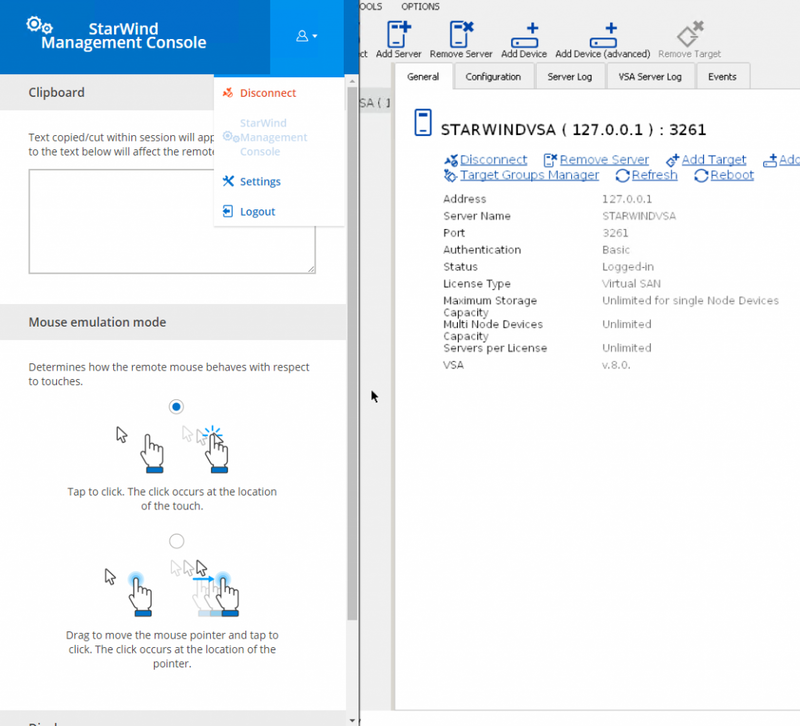 More information about configuring StarWind devices and how to create a cluster can be found here. With all the information, you can build a hyper-converged environment without a need to buy Windows licenses for StarWind Virtual SAN controller VMs. This will give you additional budget to get more storage or get more nodes for your environment. StarWind Virtual Storage Appliance is a very simple and easy-to-deploy solution. It comes as a pre-configured, ready for deployment virtual machine for a hypervisor of choice. VSA eliminates a need to spend additional costs on Software Defined Storage or Windows license. 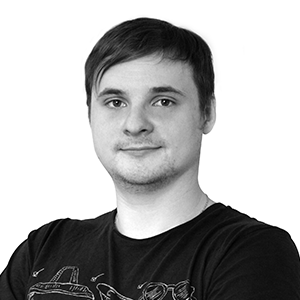 Alex works as a Solutions Architect at StarWind. He has 5+ years of IT experience working with networking and storage, building highly available environments, Windows and Linux technologies, and a deep knowledge of storage virtualization.